How much could you profit with custom automation? Custom automation can help streamline your processes and cut down production time, but how much will it actually impact your bottom line? 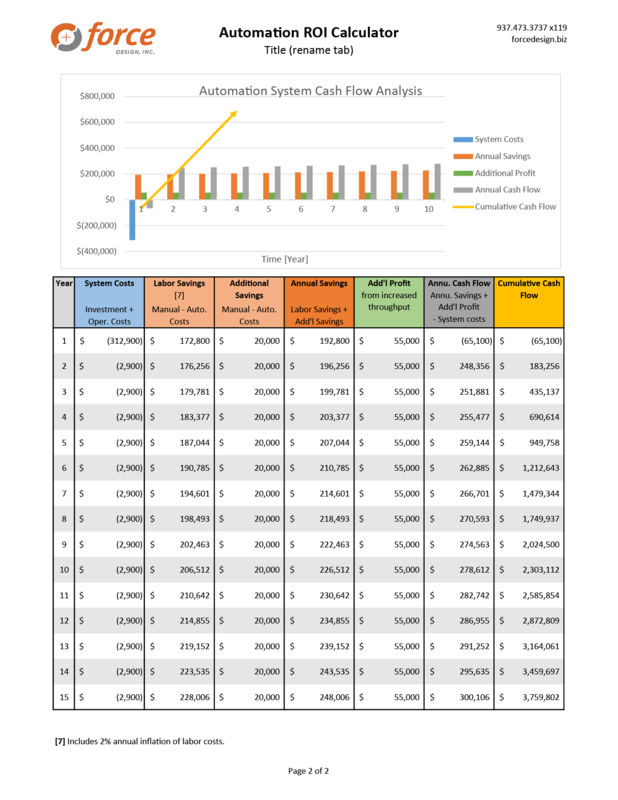 This ROI calculator makes it easy for you to investigate the financial benefits of automating your processes. It steps you through the inputs needed, does the math for you, and produces outputs regarding the financial feasibility of your project. 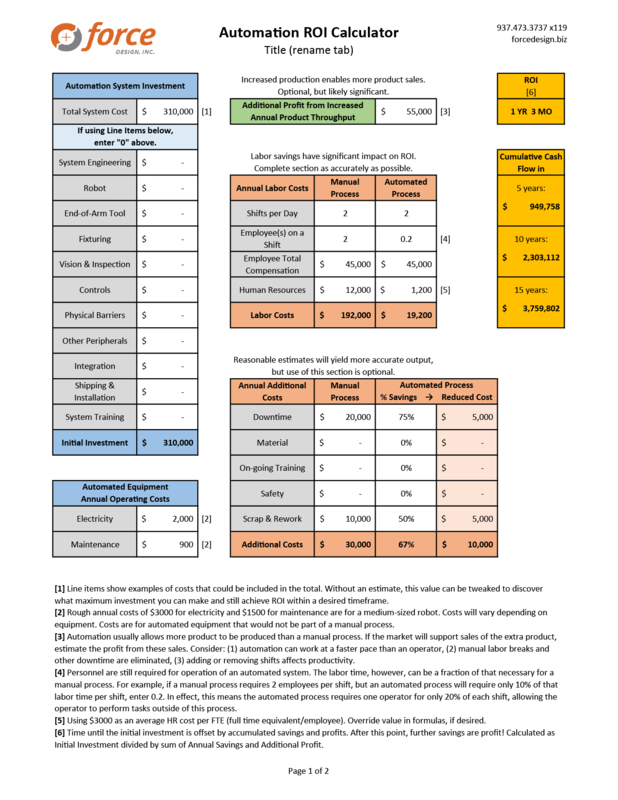 Use this calculator to explore the viability of a potential automation application or as part of your final cost justification presentation. Click here to view a full pdf preview of the calculator in use. For a quick preview, expand image below.